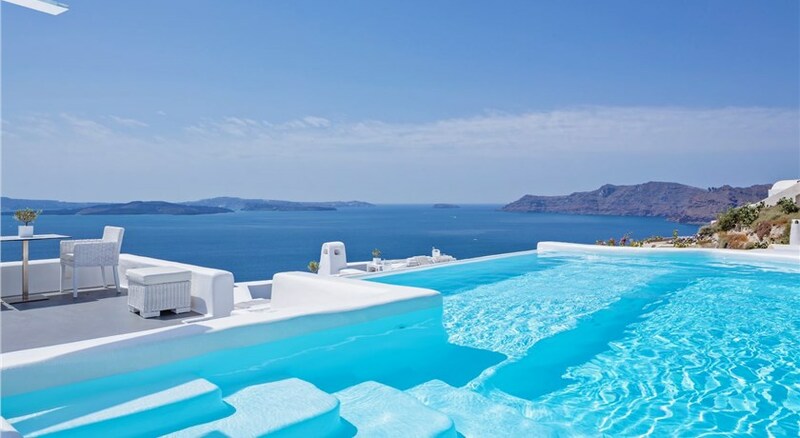 Located on the Northen part of the cosmopolitan town of Oia , Canaves Oia Epitome is set above the picturesque fishing town of Ammoudi. The property features an infinity-style main pool, a breakfast restaurant, a sunset lounge bar-restaurant, a sun terrace and private cabanas by the pool. Elegantly designed, the suites and villas include a private or plunge pools, sea views and access to the beach in a walking distance. Guests benefit from complimentary drink upon arrival, butler service, VIP butler service upon request, laundry service, fitness area, and massage and spa treatments. 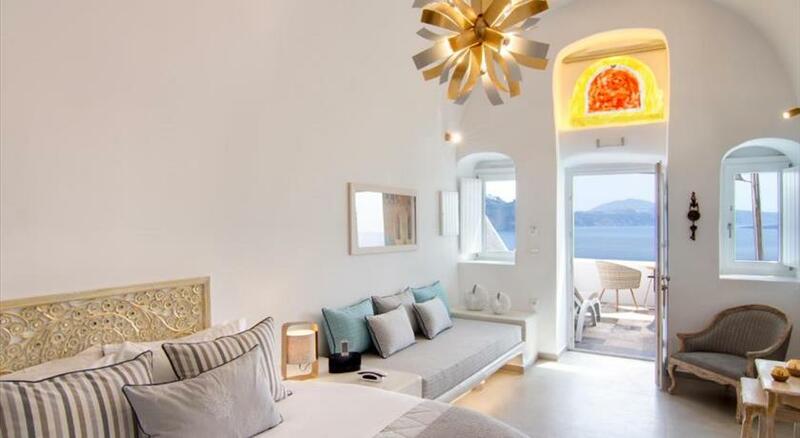 Signature Champagne a La Carte or Room Service breakfast is available daily at Canaves Oia Epitome. Daily yoga sessions and a pool bar are also provided. You will find Katharos Beach in a walking distance from Canaves Oia Epitome. Complimentary shuttle to/from Oia Town is provided and free parking is available. Please note that children under 6 years old cannot be accommodated at the property.